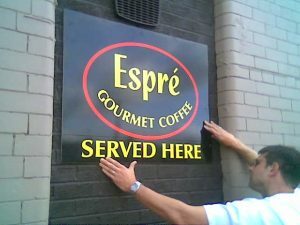 Everything You Need to Run a Successful & Profitable Coffee Shop, Cafe, Restaurant, Club or Pub. All In the One Place! 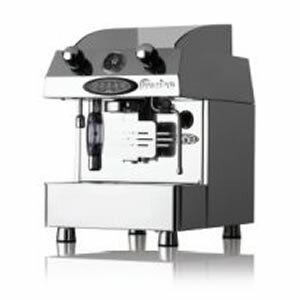 An ingenious series of affordable, luxury espresso/cappuccino coffee machines. The exquisitely designed standard Contempo model boasts a stainless steel finish with the appearance of polished chrome. It’s contemporary, yet timeless, the design is eye-catching, stylish and provides a prime focus on your bar, café, or restaurant. 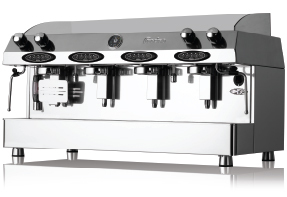 Semi-automatic or electronically controlled, Fracino’s Contempo are available with 1, 2, 3 or 4 groups for coffee making. 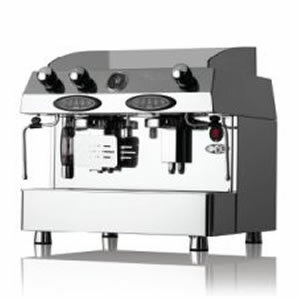 Each Contempo style has a hot water facility and steam tube for frothing and steaming milk. All machines have large capacity boilers and high-powered elements. The Contempo series are all hand built to the highest standards, using only the finest stainless steel, copper and brass. Four pre-programmed coffee measures for accurate pouring. Push-button switch, allows the user to control the amount of coffee being dispensed. Four pre-programmed coffee measures for accurate pouring.. High-quality copper boiler heated by multiple looped element. A triple contact pressure switch controls the pressure. The water level system is automatic with probe, electronic control unit and solenoid valve. Brass safety valves control the water and steam pressure. By rotating the valve handles on the solid brass valves, water and steam are released. Brass bodied group with stainless shower plate, solenoid valve and a high-pressure pump. The group is kept continuously hot by thermosyphonic circulation, ensuring perfect coffee making every time. Trays: (case, waste and cup), are all made from stainless steel 304. Steam tubes easy to clean. 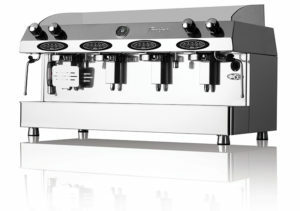 Call us today on 01506 823402 to discuss your requirements and get a quote for our low-cost coffee machine rentals. "All calls recorded for Training & Monitoring purposes"
© 2019 Tapside Coffee Machine Rental - All Rights Reserved.